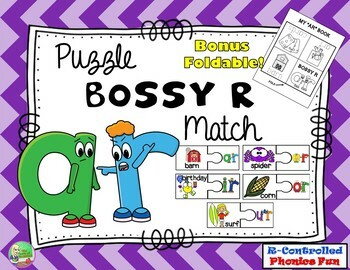 These Bossy R themed puzzles are great phonics practice for those r-controlled vowels. Set includes 25 puzzle pieces (ar, er, ir, or, ur). 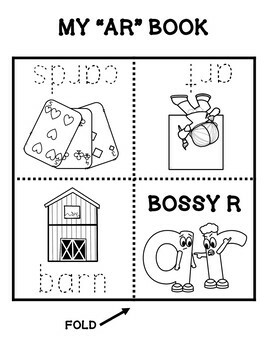 This word game equals fun practice for students, while helping them learn their Bossy R words. Move students beyond just memorizing sound patterns with basic flashcards to actually reading word families with this fun phonics game! Super easy, set up! Just print, laminate, cut the cards and you are ready to play! Includes 5 BONUS foldable books! These r-controlled vowel worksheets can be used as a response sheet at a center or for early finishers. Ideal for small groups! 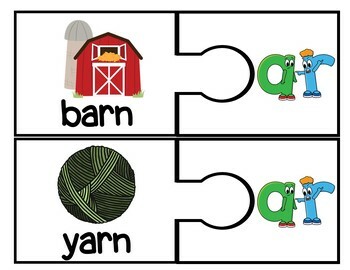 Use this phonics task as a fun ELA center, a word-work station or a homeschool literacy activity. Ideal for small groups! This game can be played as a guided center or collaborative station. L.3.2f Use spelling patterns and generalizations (e.g., word families, position-based spellings, syllable patterns, ending rules, meaningful word parts) in writing words. Phonics Fun /or/ Who Do You Hear? Thank you for your purchase! I value you! Happy Teaching!